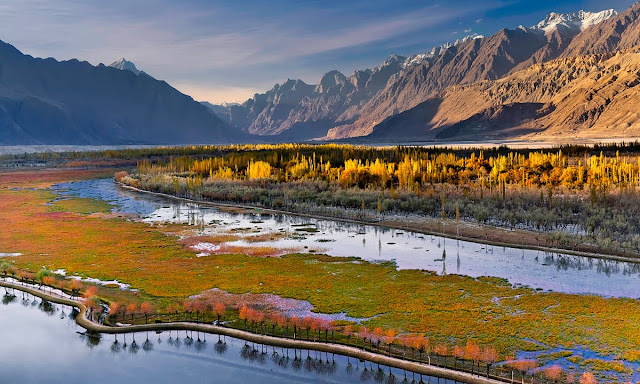 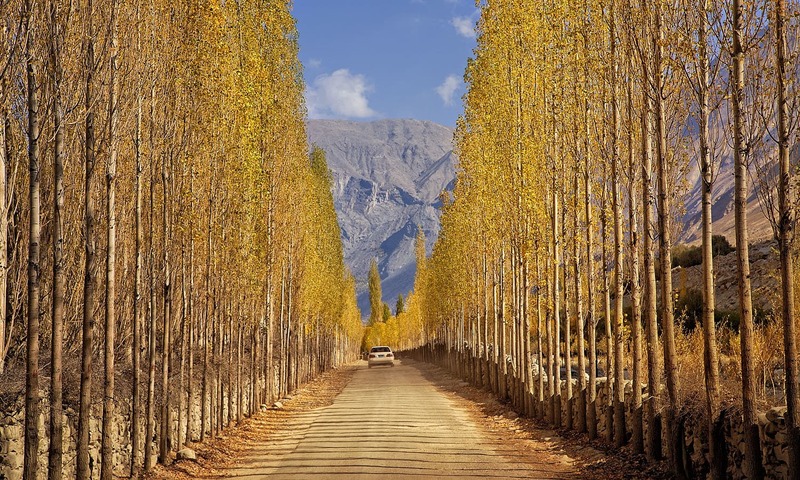 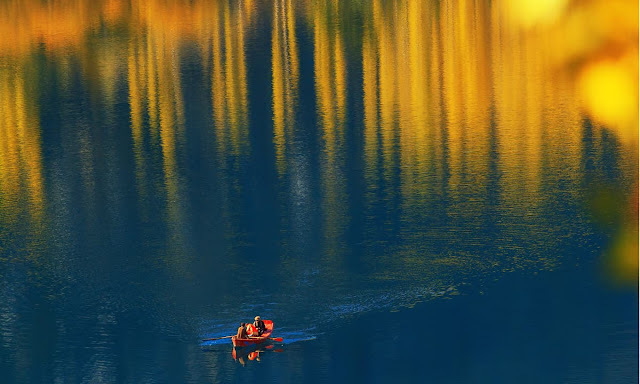 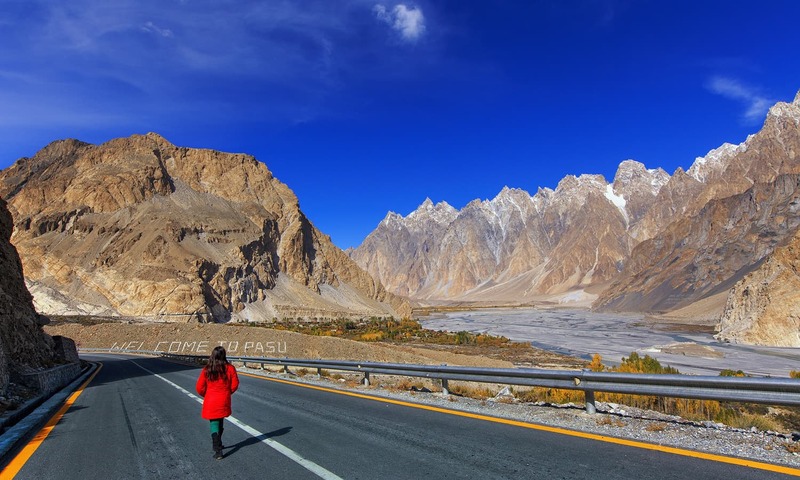 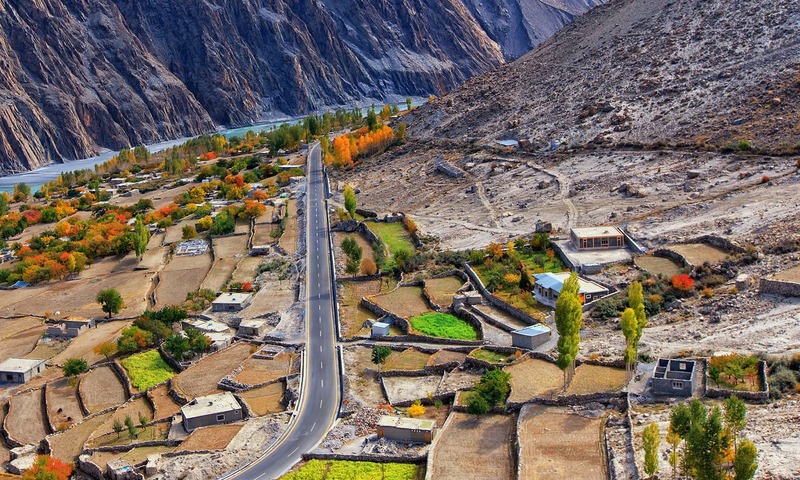 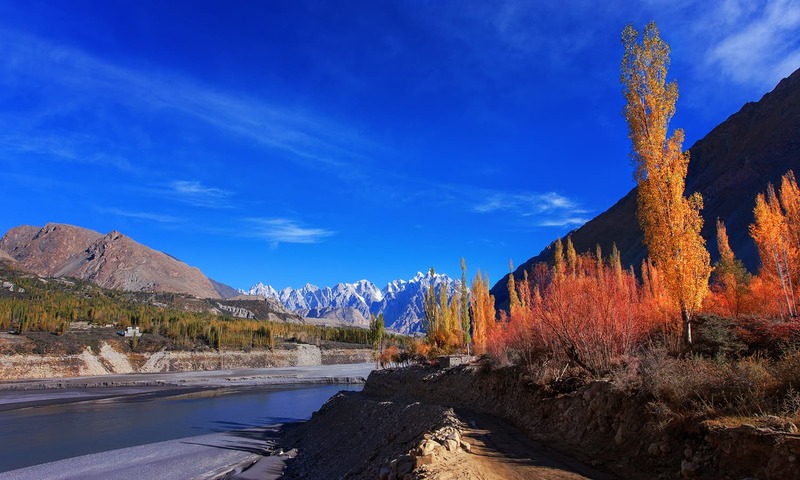 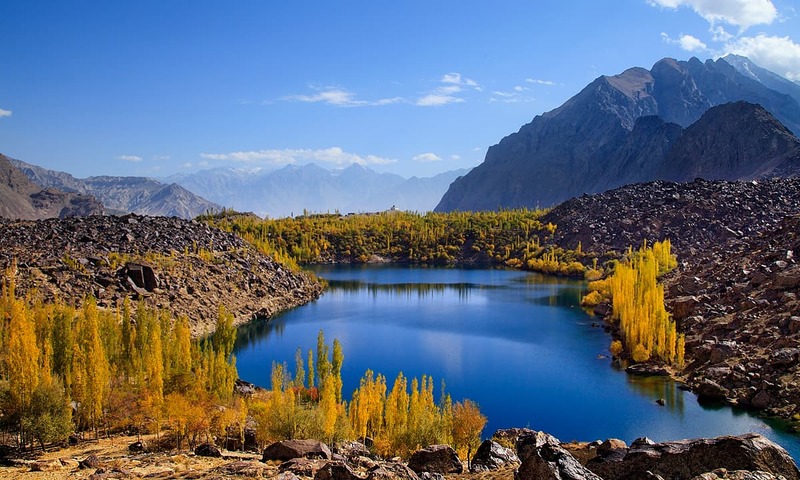 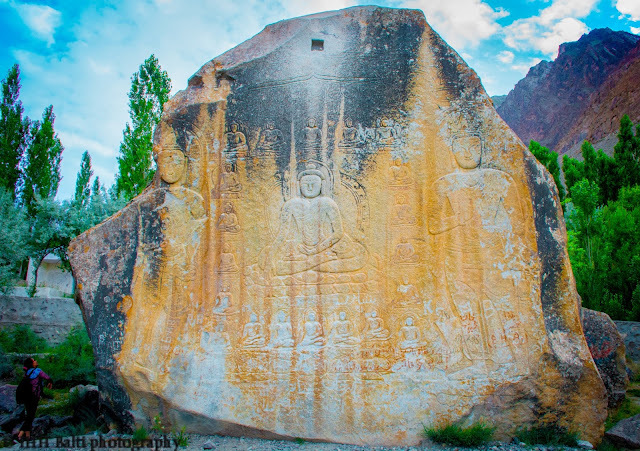 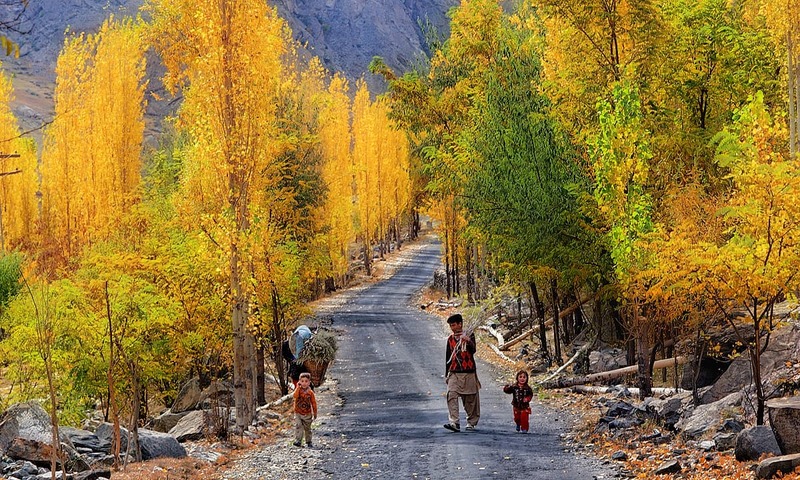 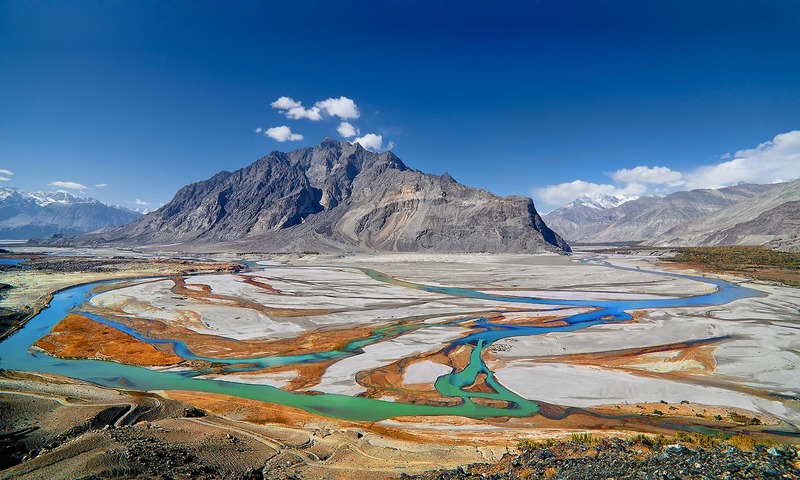 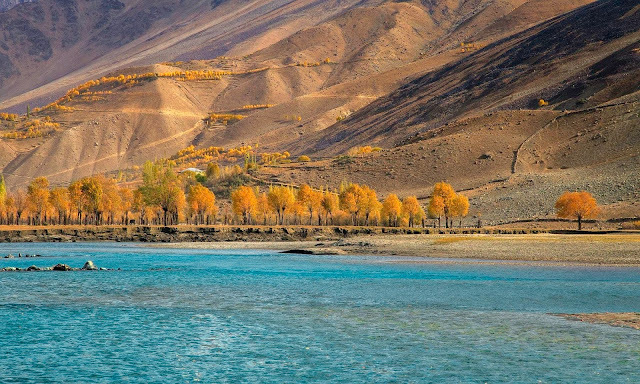 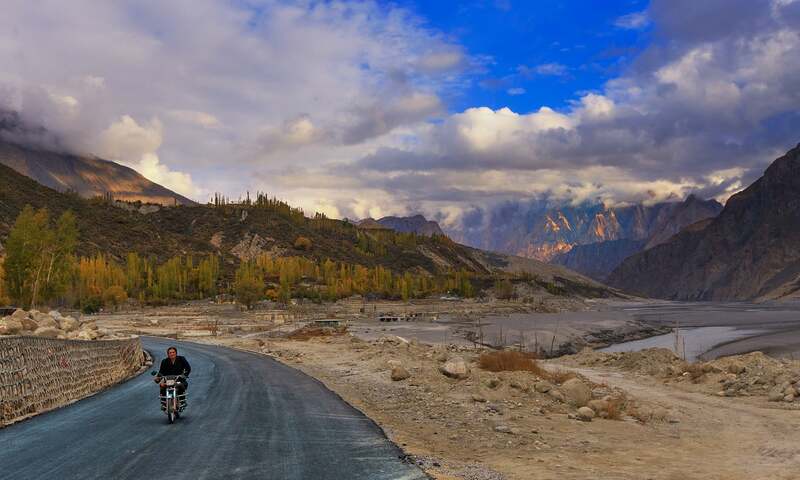 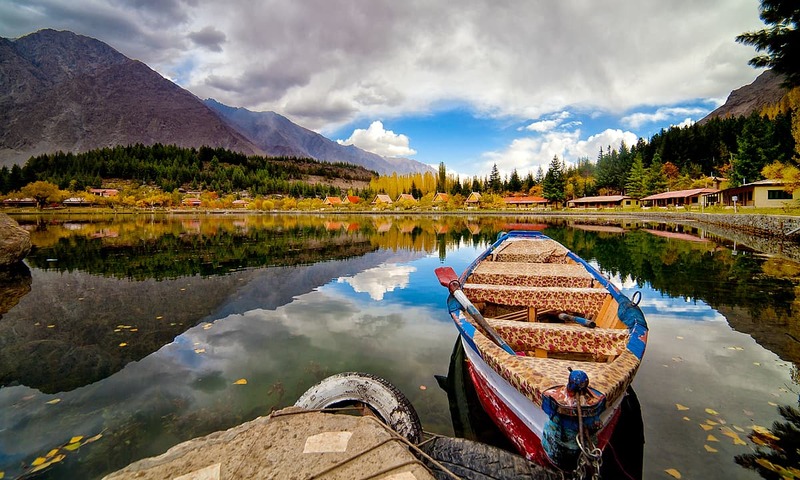 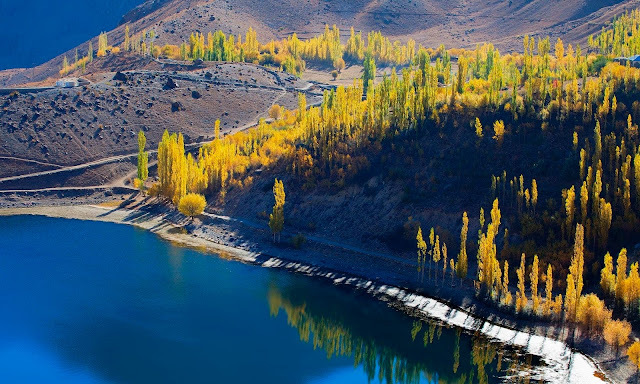 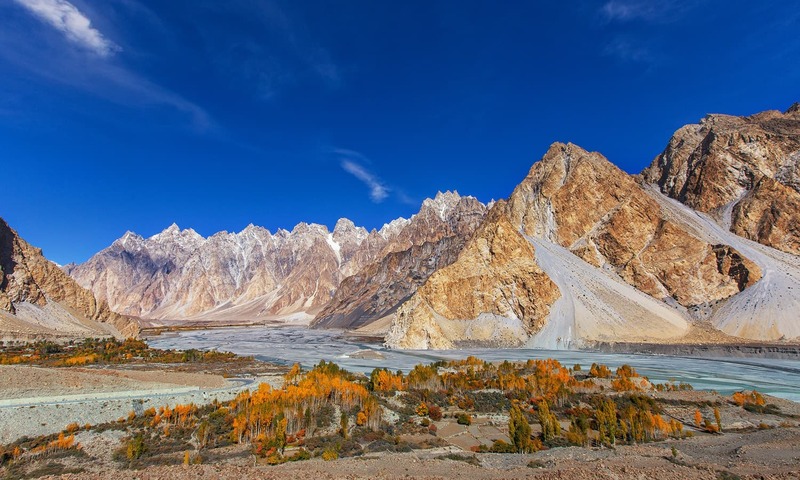 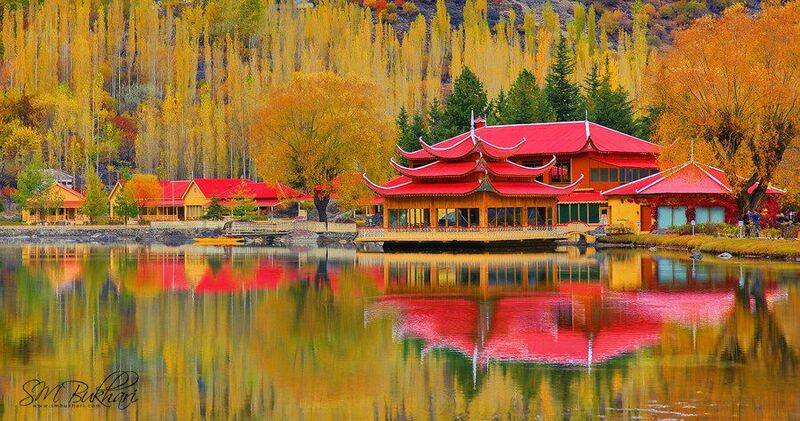 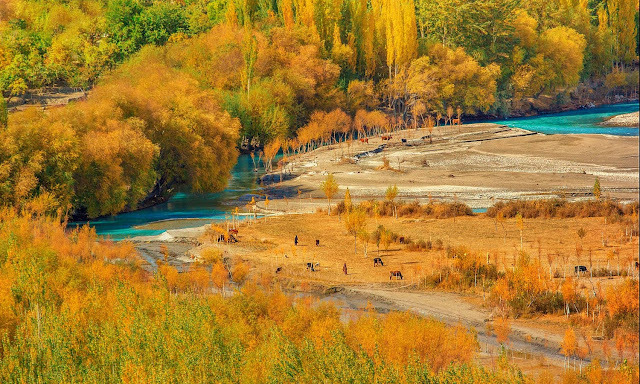 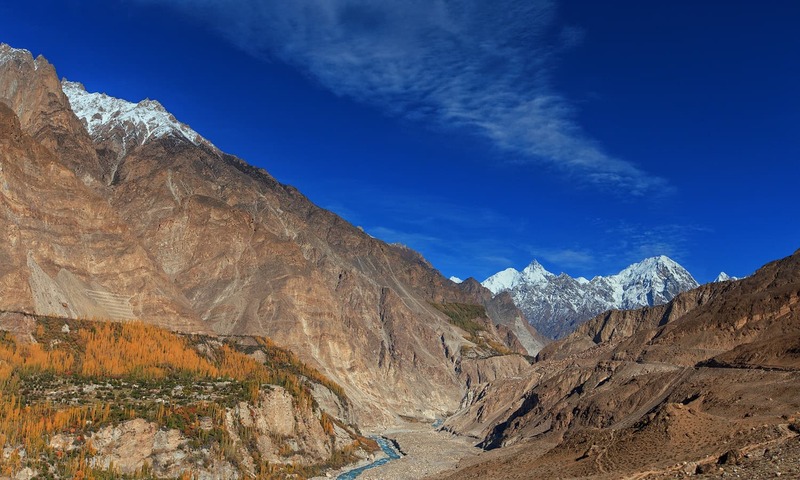 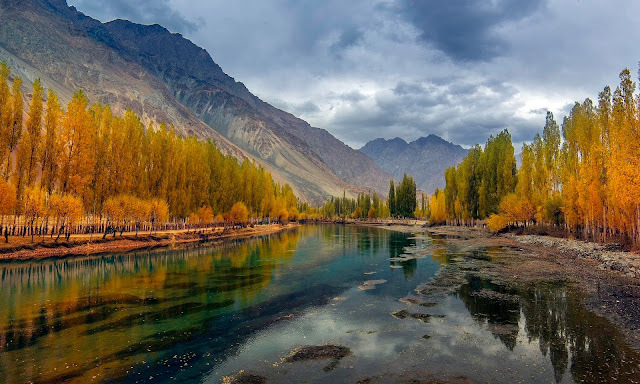 Gilgit-Baltistan in the extreme north of Pakistan is endowed with all kind of the serene beauty of nature, be it, the towering rocky mountains with gleaming icy summits, exquisite crystal clear freshwater lakes, or meadows stretched over thousands of acres with blooming wildflowers and much more. 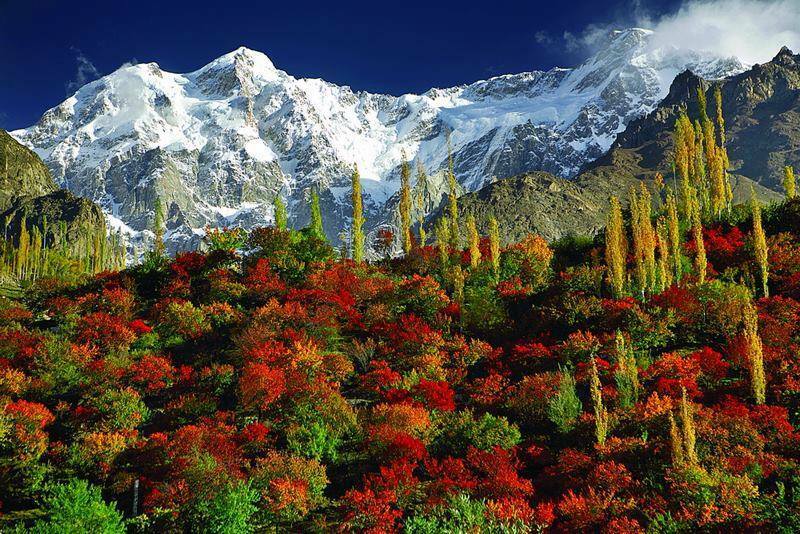 But one of the best things to enjoy in the region is the colorful season of the year in the region i.e. 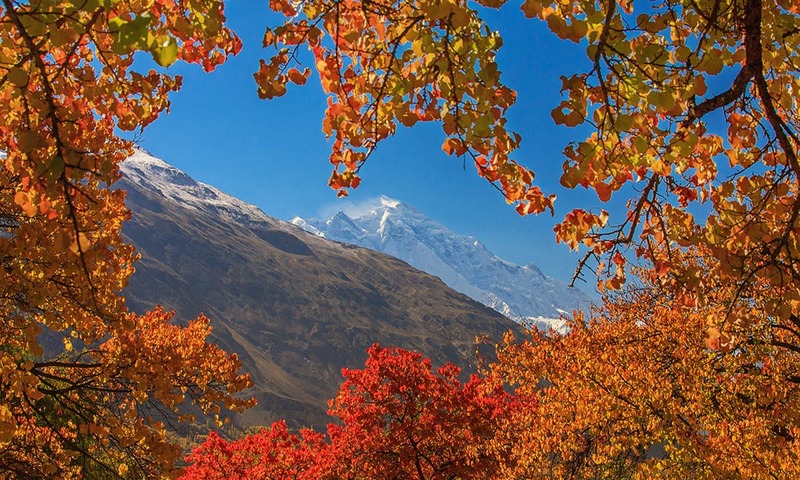 the "Autumn Season". 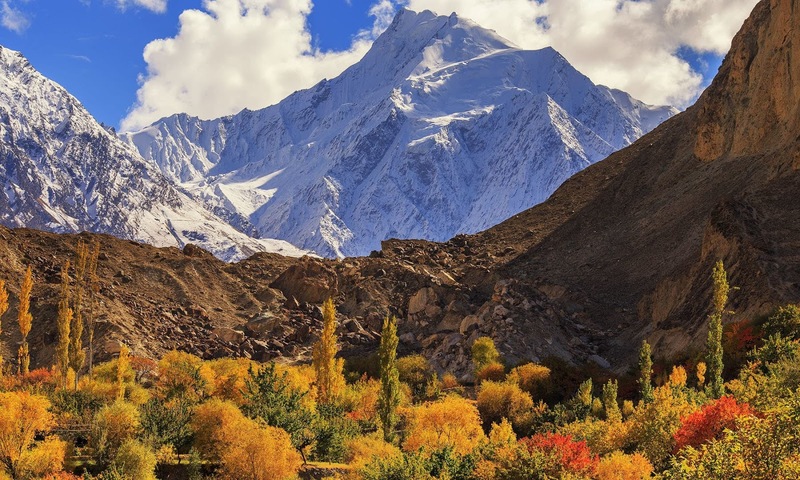 Most of the people visit the region in the summer because for mountaineering winter is not suitable. 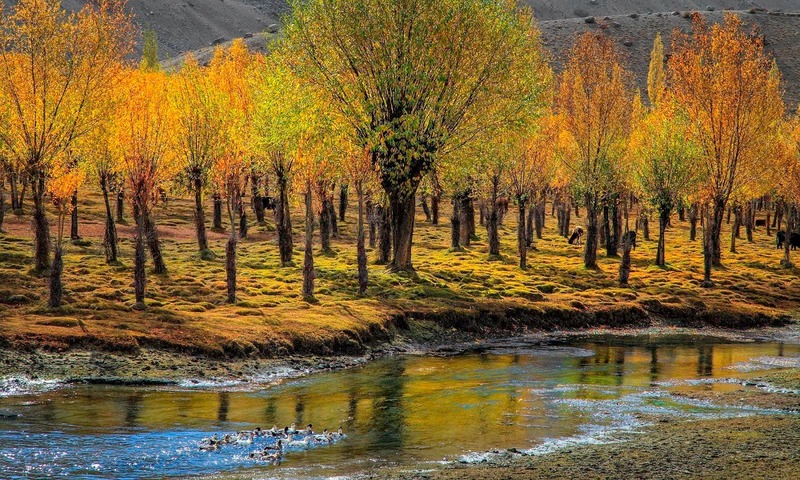 Also, if one wants to visit the far furlong places in the wilderness like Deosai Plains, then summer is the best season to enjoy. 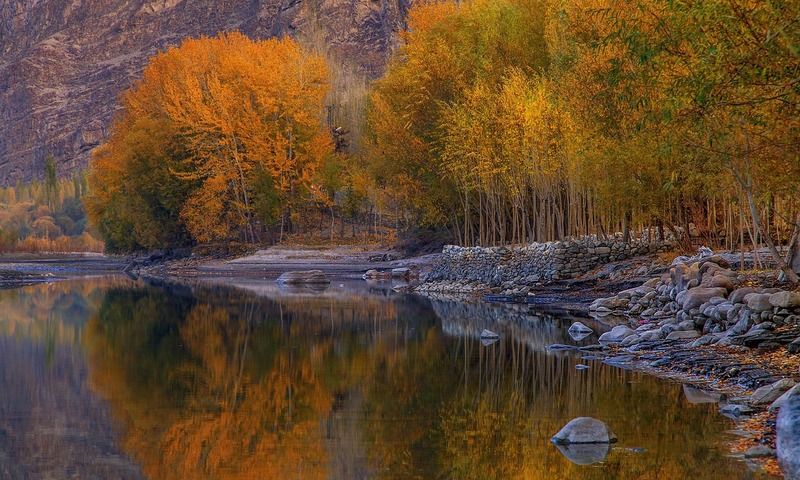 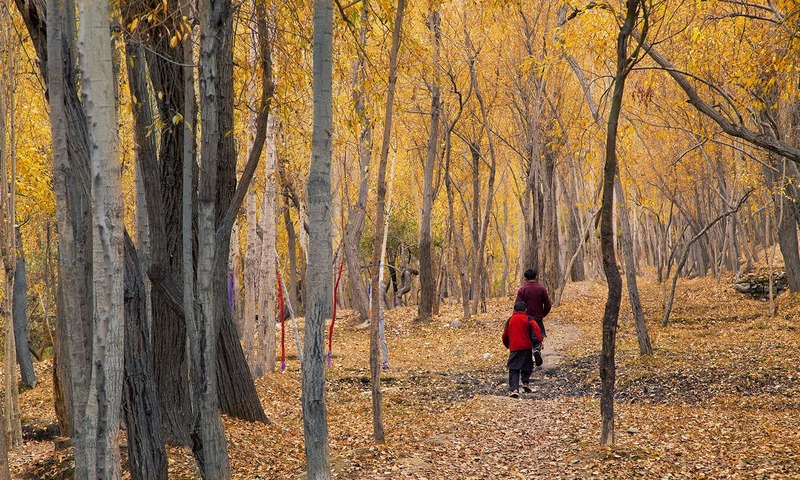 But if you want to enjoy the colorful season of the region then you must visit the region in autumn. To have a sight stretched over hundreds of miles with dozens of colors is just amazing. 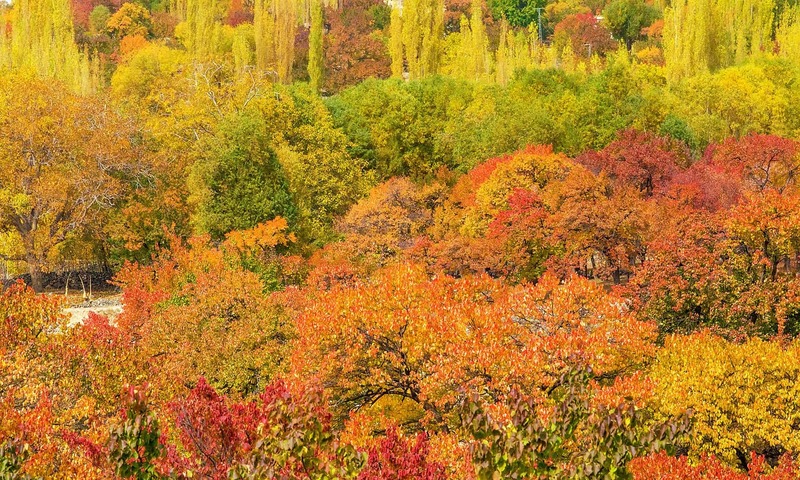 If you are lucky enough to sit in a garden surrounded by the eucalyptus trees then the flying colorful leaves in the air will be the best scene to enjoy and refresh your soul.